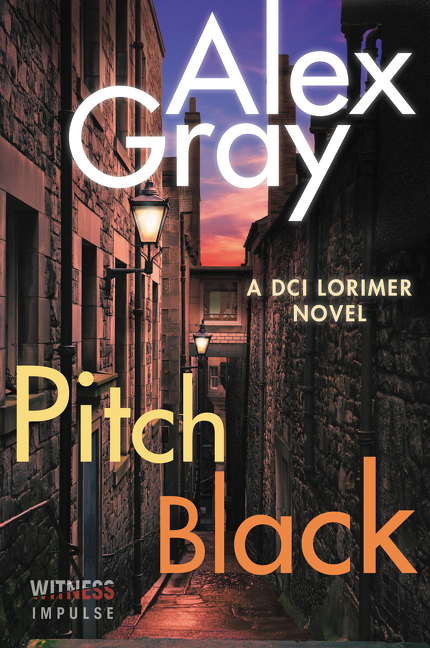 DCI Lorimer is back in the next gripping atmospheric police procedural by international bestselling author Alex Gray. When Chief Inspector Lorimer returns from holiday on the island of Mull, he feels a welcome sense of calm. But that doesn’t last long. Kelvin Football Club’s new star midfielder is found brutally stabbed to death in his own home, and with his wife apprehended trying to leave the country, a seemingly straightforward new case begins. But the grisly murder of a referee after a Kelvin match throws light on some dark secrets. And when the newest player who signed to the club becomes the latest victim in a string of killings, Lorimer knows there’s a serial killer on the loose—one that’s only beginning to show his true colors. As lies emerge and tensions build, Lorimer must discover the truth before one of the players or managers become the next Kelvin fatality. My review :- This was my first book by the author but you canbe sure that it would not be the last. The mystery and the thrill was intoxicating, enthralling and captivating at the same time. This was a one sit read for me. The characters were so strong and the plot well developed and deep. I loved it and can't wait to read more by the author. The dust motes swirled round, captured in the one beam of light that filtered through a gap in the blinds. Behind him an insect buzzed drowsily against the window, seeking to escape from the confines of the room. Listening to its feeble struggles, Lorimer felt some empathy for the tiny creature. At that moment he would have given a great deal to walk out into the warm air of the city streets. Before him on the videoscreen were pictures of the deceased, not happy snaps at all. The scene-of-crime photographer had managed to convey each and every aspect of the man’s death, from the bread knife sticking out of his chest cavity to the open-mouthed grimace portraying that final scream of agony. Close-ups of blood spatters surrounded the main pictures, adding graphically to the image. 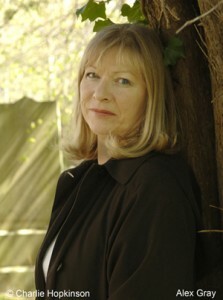 ‘It was hot,’ Mitchison commented, somewhat unnecessarily, releasing the stills and letting the film pan in on the body. The black patches around the wound showed a moving mass of flies. Lorimer could almost smell the scent of corruption and was glad for once that he had not been first on the scene. But now Mitchison’s peremptory call had stolen the final day of Lorimer’s break and he had to be brought up to speed if he were to take charge of this case. ‘She says she didn’t do it, of course, despite the fact she drove all the way up to the Hebrides…’ Mitchison’s drawl tailed off. Mitchison nodded and screwed up his eyes in the half-light, then blinked. He’d probably been working through the night, Lorimer realised. Method, means and opportunity, a familiar voice intoned in Lorimer’s head. It had been old George’s mantra. A wave of nostalgia for his former boss washed over him just then. Weary or not, George would never have delegated a case like this. He’d have ferreted away at it, looking for something more than the obvious. Though a runaway wife was a fairly obvious place to begin, Lorimer had to admit to himself. The method was straightforward enough and, despite his level of athleticism, the victim might have been taken by complete surprise. His expression alone was testament to that theory. She’d had the means easily to hand. And the opportunity? Who could say? Knife attacks were usually random affairs undertaken in a moment of frenzy. Lorimer gave a non-committal shrug. You couldn’t charge the woman for failing to mourn her dead husband, but still . . . His thoughts wandered for a moment to the sight of Janis Faulkner’s face as she’d glanced up at him on Fishnish pier. Had she been showing remorse? That haunted look had stayed with him since he’d seen her yesterday. Lorimer looked at his boss. The vehemence in Mitchison’s tone surprised him. Or was it simply that he was afraid Lorimer would see things in a different light, take away his prime suspect and cause problems? There was a past between these two senior officers that had never been adequately resolved. Mitchison had been promoted to superintendent when everyone’s expectations had been on Lorimer stepping into his old boss’s shoes, but it was their different attitudes to police work that had been the real cause of friction between them. Mitchison did everything by the rule book, creating masses of paperwork for everyone, while his DCI preferred a more handson approach. Lorimer remained silent. He was being officially designated as SIO and unless something new emerged, Janis Faulkner’s guilt or otherwise remained a matter for the jury. Famous last words, Lorimer told himself as Mitchison left the room. Whether it was that quirk of fate placing him at the scene of her arrest on Mull or the victim’s high profile, the DCI had a strong feeling that this case was going to be anything but straightforward. The woman had been brought back from Mull and placed in the police cells for one more night until she could be brought to court and officially charged with Nicko Faulkner’s murder. Lorimer waited outside as the duty officer unlocked the cell and stood aside. The first thing he noticed was the smell. It wafted towards him, a mixture of stale sweat and something more pungent that he recognised as menstrual blood. He’d smelt it before from women banged up over long weekends without any facilities to shower or change their clothes. Janis Faulkner was sitting in a corner of the bunk, feet together, head down and clutching her stomach. A movement as the cell door was opening made him realise she had looked up for a split second but now her expression was hidden under that curtain of damp hair. ‘Anyone thought to give her some paracetamol?’ he asked the uniformed officer. ‘Just go and get some,’ Lorimer told him, ‘and a drink of cold water.’ He let the man close the cell door behind them and stood waiting for the woman to look his way. ‘Feeling bad?’ he asked, as if she were an old acquaintance and not a stranger who was also his prisoner. He heard the sigh first, then Janis raised her head and looked at him. There was a brightness in her eyes that spoke of unshed tears. Her little nod and a flicker of recognition were all Lorimer needed to know he’d begun to win her confidence. The door clanged open and the uniform strode in, proffering a tumbler of water and a strip of foil containing two painkillers. Both men watched as she unwrapped them, her fingers shaking as she clutched the glass and tilted back her head, then swallowed. ‘Thanks,’ she said, her voice hoarse. But it was to Lorimer that she spoke, to Lorimer that she handed back the empty tumbler. ‘You’ll have been told that we have to keep you here till tomorrow?’ he asked quietly, a hint of apology in his voice. She nodded again, but her head had drooped once more and Lorimer sensed she was withdrawing into herself, just as Mitchison had described. ‘You can talk to me if you want to,’ he told her. There was no response at all this time and as the minutes ticked past he realised that there was little point in trying any longer. As he turned to leave, the silence inside that cell was redolent of misery. Excerpt from Pitch Black by Alex Gray. Copyright © 2017 by Alex Gray. Reproduced with permission from WitnessImpulse. All rights reserved. I am addicted to this author's books. Great review! Glad to hear it.I look forward to reading more from the author too!